A cluster of villages tucked away in the Kalabit Highlands on the island of Borneo, Ba’kelalan is a place of soul-searching rejuvenation. Populated by the Lun Bewang tribe, the villages are comprised of rice paddies, farmland, salt springs and lush forests. Noteworthy attractions include a visit to the Buduk Bui salt factory, and trekking through Pulong Tau National Park. Be humbled and charmed by Malaysia’s evergreen landscapes with cheap flights to Ba’kelalan! Ba’kelalan is home to Ba’kelalan Airport (BKM), a 15-minute drive from the village centre. 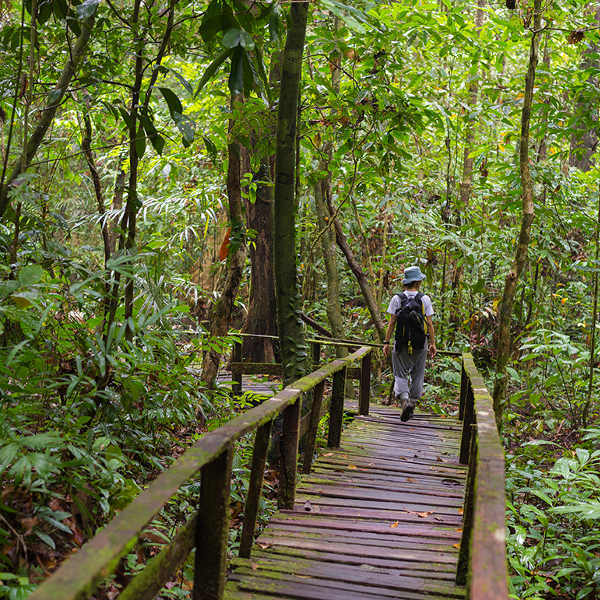 Explore the lush countryside as you trek to the salt springs, or through the evergreen jungle forests, teeming with wildlife. Walk through the villages and rice fields, getting to know the locals along the way. A few days spent among the villagers will teach you that the charm of Ba’kelalan lies in its simplicity. Get familiar with the tribal spirit of the locals as they perform dances and shows for all who are staying nearby. Forget about the world, and lose yourself in the tranquil magic of being totally surrounded by vast green landscapes, tucked away from modern city life. Surrender to wild adventures of discovery in a place unknown to many. Ba’kelalan, and the greater Sarawak region, experiences a tropical climate with heavy summer rainfall between November and February. If you’re planning your trip around trekking and visiting the surrounding national parks, then April to September is the ideal time to visit. July is an exciting time when the Rainforest World Music Festival is held over three days in the Sarawak Cultural Village. Take advantage of fewer crowds and a wide range of discounted accommodation during the rainy season, between November and January. For discounted lodging, tours and cheap flights to Ba’kelalan, between November and February is the best time to visit. Ba’kelalan’s group of nine villages sits 910 metres above sea level in the Kelabit Highlands of Malaysia. The cool mountain climate and lush surrounds make this a picturesque, if remote, place to visit, and tourism to the region is increasing steadily. Ba’kelalan is most often used as a stopover for visitors heading to Kayan Mentarang National Park, located on the Indonesian side of the border, just a few kilometres from the town’s outskirts. 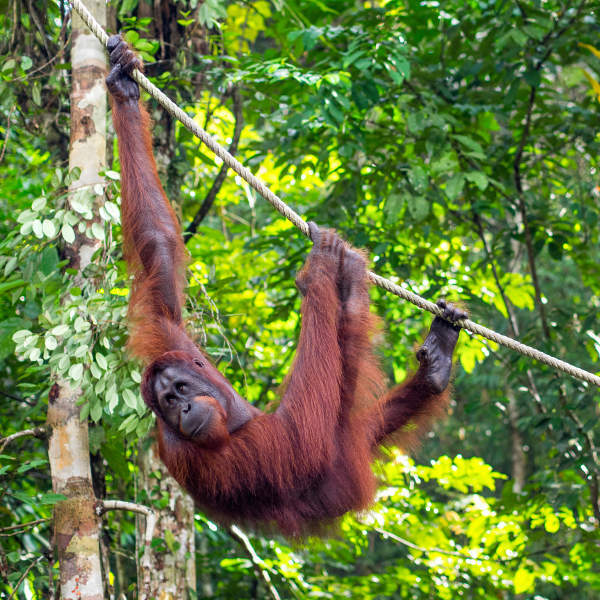 This national park is a spectacular place to experience the exotic wildlife and archaeological remains in the heart of Borneo. With the increase in through-traffic, Ba’kelalan has developed its own attractions, including a spectacular 9-hole, natural golf course. The cool mountain climate makes for great golfing weather, and the lush terrain is the perfect backdrop to an afternoon on the course. Well-known locally for its apples and mandarin oranges, Ba’kelalan’s vanilla is a more popular souvenir. Another local specialty is the mountain salt that is mined from the nearby hills. Interwoven patchworks of padi (rice) fields stretch on for miles throughout the villages. During the rainy season it can be difficult to navigate your way around, but clear days are picture-perfect to explore the hiking trails. Spend a few nights at a homestay where your host family will treat you to local delicacies and you’ll be forced to embrace their laidback, happy-go-lucky way of life. Expect to be warmly received with big smiles as they humbly welcome you into their homes. Those who are up for a bit of adventure can hire a motorbike and embark on a dirt-road trip across the border into Indonesia, where even more adventure awaits. Compare several airlines, and book your cheap flights to Ba’kelalan online at Travelstart! Ba’kelalan is a cluster of small villages and the laidback countryside isn’t exactly a crime hotspot. You can feel at ease amongst the farming community and really enjoy all that the surrounding nature has to offer. There are no compulsory vaccinations needed, but travellers should make sure they are up to date with all routine vaccinations. Since you’ll be travelling through some of the country’s most rural areas, it is encouraged to take along malaria medication and be immunised against typhoid, hepatitis A and Japanese Encephalitis.